Here’s a free printable goal setting worksheet and all the info you need to start working on your goals for this year! 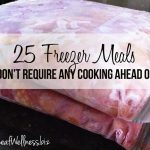 Last November, I read a pre-release copy of the book ‘Say Goodbye to Survival Mode‘ by Crystal Paine (Money Saving Mom), and it inspired me in so many ways. The first change I made was to sit down with my husband and map out some goals for 2014. 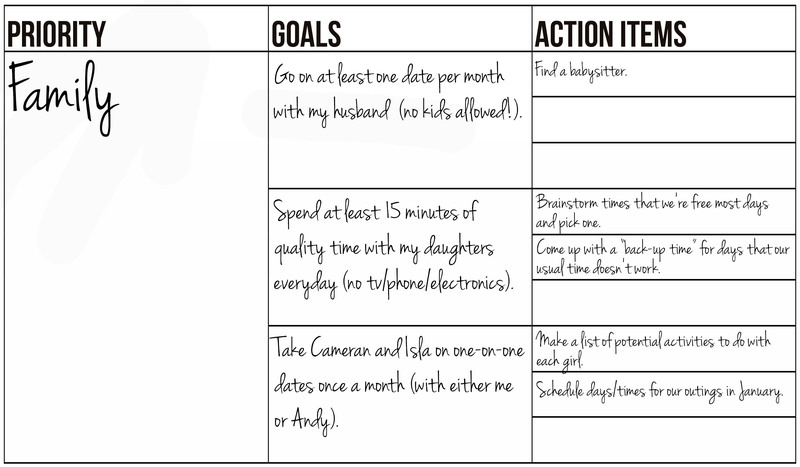 Then, I made a cute printable worksheet to organize our goals and share with all of you. 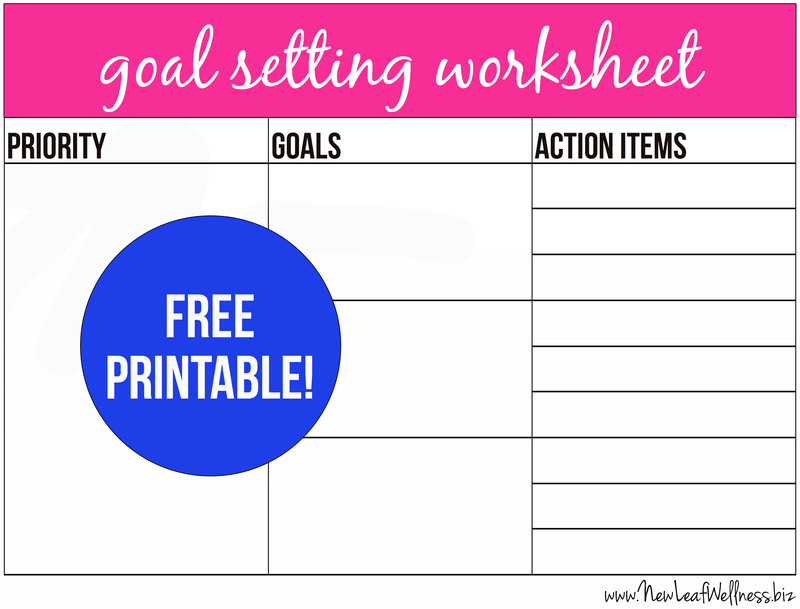 You can download a copy here: Free Printable Goal Setting Worksheet. Here’s a combination of tips from Crystal’s new book and my experience as a psychologist and wellness coach to help you hone in on what you want and actually make it happen. Start by listing the priorities in your life. (My free printable goal setting worksheet includes room for six priorities, one per page. You can certainly choose fewer than that, but choose at least three to make sure you’re working toward being well-rounded. I wouldn’t list many more than six though, because you don’t want to take on too much and set yourself up to fail.) What you pick as your priorities is totally up to you. In ‘Say Goodbye to Survival Mode‘ Crystal gives these categories of priorities as examples: Personal, spiritual and emotional, family, career/ministry, and friendships. You could also include education, homemaking, separate marriage and motherhood, etc. Here’s what I decided to include in my priority list this year (in no particular order): Family, finances, business, and personal well-being (mental and physical). Next to each priority, write specific goals that you want to accomplish over the coming year. (My free printable goal setting worksheet has space for three goals next to each priority, but you can write more or less than that.) As a wellness coach, I help my clients make goals that are SMART – specific, measurable, attainable, realistic, and time-bound. If you’re new to SMART goals, this website provides a more detailed description. Consider the very first steps that you need to take to work toward your goals, things like researching, brainstorming, and contacting someone else to ask for more info or advice. (My free printable goal setting worksheet has space for three action items next to each goal, but you can write more or less than that.) Checking off action items on your worksheet will help you move toward accomplishing your goals. It really didn’t take that long to fill out, and I’m excited to see how being intentional about my goals will impact my life. As time goes on, I’m planning to add more details to my goals and action items. All that’s left to do is track my progress and update as needed. It’s totally OK to change your goals as you go and learn what works for you. That’s part of the process. Thank you for sharing this. I love the simplicity. I’m printing mine out right now! Thanks so much for sharing! I’ll be sure to share your post! Thank you for this printable! I was looking for one that my daughter could fill out for her practice time at her harp. I hope it helps her focus! I love the way you broke it down into such basic steps. Pinned and printed! Thanks for sharing this. I needed something to use with the teens at church. 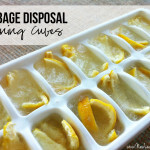 This is basic and easy to use.